National Atlas of Hungary | Welcome! What is a national atlas? 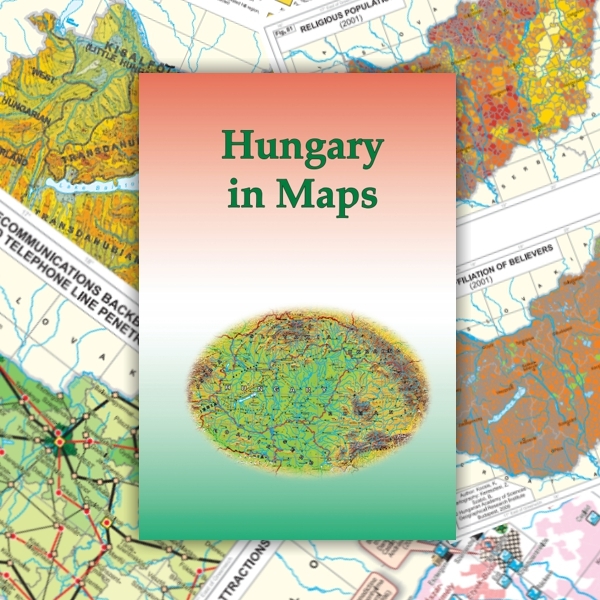 Welcome to the homepage of the National Atlas of Hungary project! The aim of the project is to publish a new national atlas. This idea, just like in 1983, was initiated by the Hungarian Academy of Sciences. The project has been coordinated by the Geographical Institute of the Research Centre for Astronomy and Earth Sciences, Hungarian Academy of Sciences, in cooperation with its strategic partner, the Department of Cartography and Geoinformatics of Eötvös Loránd University. A national atlas, like the flag, coat of arms or the national anthem, has always been an important symbol for any country in the world. National atlases have been initiated by governments and scientists (often by national academies) and they have been published as the result of a broad national collaboration. This happened in Hungary in 1964–1967 and in 1983–1989, when the first two editions of the National Atlas of Hungary were published. 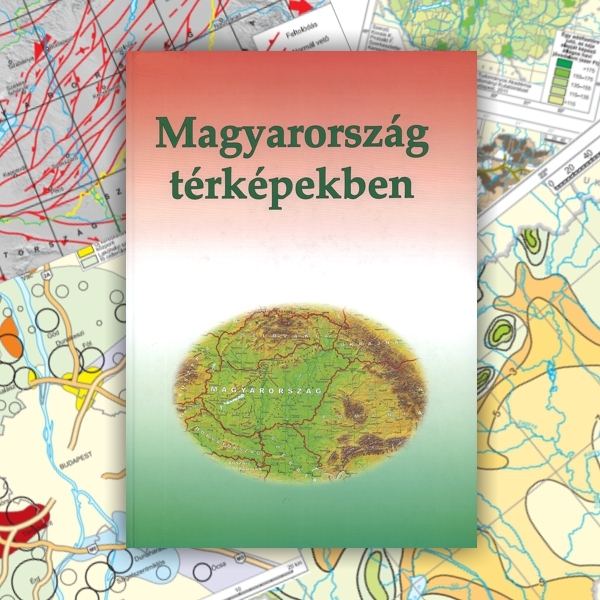 On these grounds, we strongly believe that the result of the present initiative, supported by the government and with the contribution of scientists, will be a new edition of the National Atlas of Hungary. We intend to publish this atlas not only in a conventional (printed) form, but also in electronic version (on DVD and on the web) to meet the demands of the time. 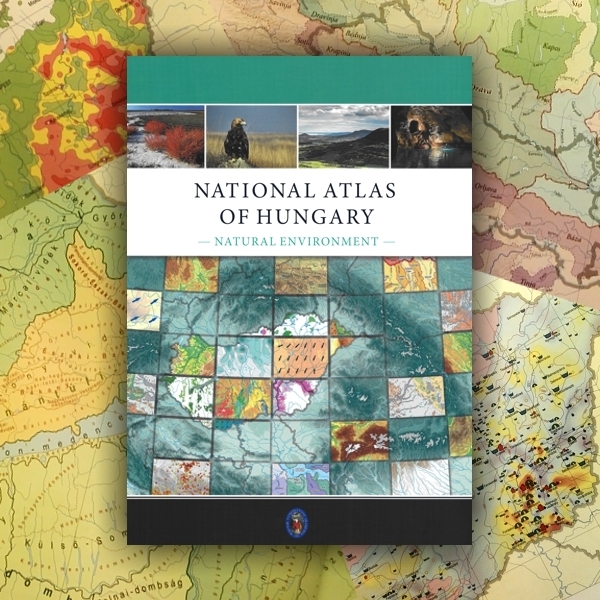 This publication is not just the Hungarian version of the atlas published in English in 2009; rather it is an enlarged, updated, revised and multifunctional edition with the same page size (21 x 29.8 cm). With the addition of new chapters (parliamentary elections, talent geography), the number of pages increased to 248, the number of maps to 165, and the number of authors to 38. This handy and comprehensive atlas aimed to give an overview of Hungary in the early years of the third millennium for the average educated person, for people involved in secondary and higher education, and for decision makers at government level. 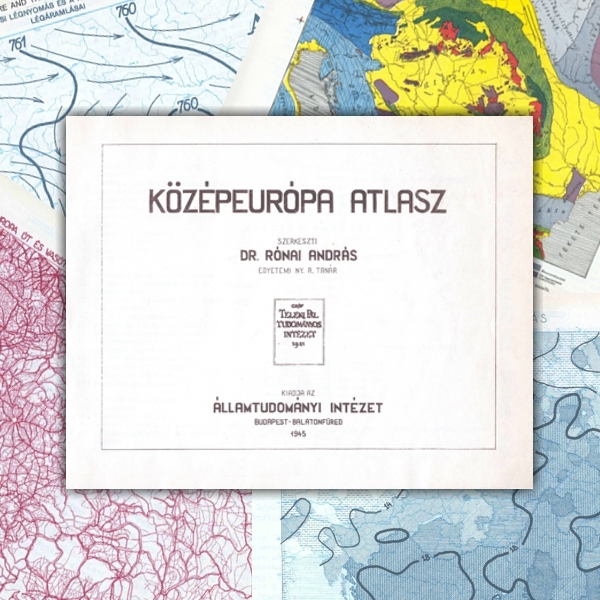 After the publication of the atlas in conventional printed form, the full content of the atlas was placed on the homepage of the Geographical Research Institute of the Hungarian Academy of Sciences, in this way offering fast (and free) information. 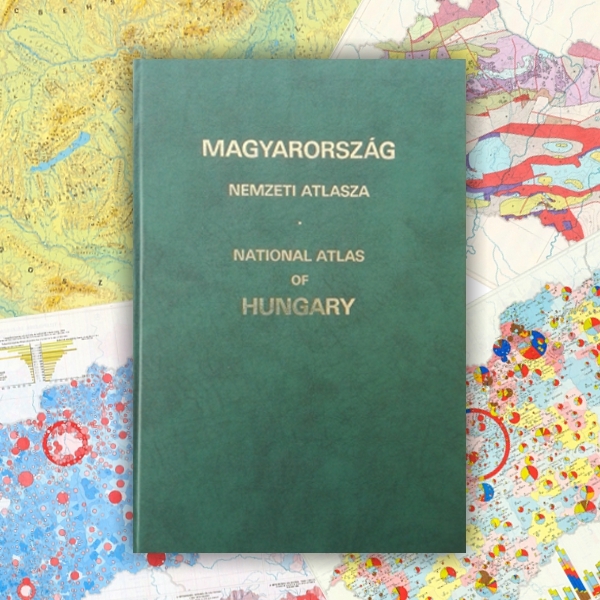 This relatively small-sized atlas (21 x 29.8 cm) gives an overview of the contemporary natural, social and economic state of Hungary in English for an international readership. The Geographical Research Institute of the Hungarian Academy of Sciences published it on the twentieth anniversary of the democratic transformation in Hungary, the tenth anniversary of Hungary 's accession to NATO, and the fifth anniversary of Hungary's joining the European Union. The publication also formed part of a series of regional atlases on Southeast Europe and Ukraine. The 211-page atlas was made using digital technology, and the ratio of texts and maps was about 2:1. The topics of nature, economy and society were given similar weight and importance on the 142 maps. Unlike the former national atlases, this English language “business card” of the country offered new ways of presenting a range of subjects to satisfy domestic and international interest in Hungary. Such topics included ethnicity, politics, urbanization, commerce, telecommunications, and tourism. This atlas (23.3 x 32.9 cm in size) is much easier to handle than were the former one-volume national atlases. The aim of the publisher was to present, mainly for people involved in higher education, the basic social and economic changes that took place in Hungary after 1989. The atlas has 132 numbered pages, with 106.5 pages of maps and 24.5 pages for an index and a list of settlements. Owing to changes in function and the requirements of the targeted users, the structure of the map pages differed significantly from the 1989 edition of the national atlas. The ratio of map themes became more balanced: the ratio of economic maps fell from 49% to 23%, while the ratio of introductory general geographic and political-administrative maps increased from 10% to 26%. The scale of most maps was 1:2.5 million. The atlas contained 21 maps of the Carpathian Basin (including 16 physical geographical maps), whereas only three maps had shown this broader area in the 1989 edition of the national atlas. This fact clearly reflected a major change in attitude. 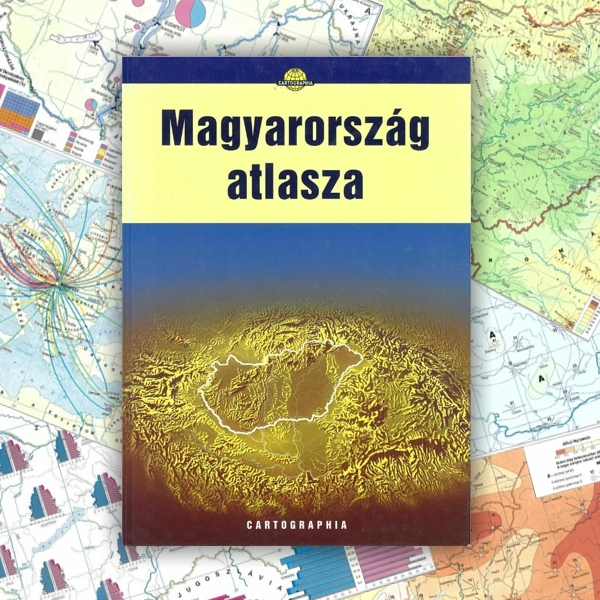 In 1983, the Hungarian Academy of Sciences, under the presidency of János Szentágothai, decided to publish a new edition of the National Atlas of Hungary. As in the case of the 1967 edition, the idea was supported by the government and the Ministry of Agriculture and Food. The atlas was completed in six years under the direction of Márton Pécsi, head of the editorial board and director of the Geographical Research Institute of the Academy. The atlas was prepared in cooperation with 87 (mostly) state institutions and organizations and 183 authors and editors. The atlas was published in 1989, shortly before Hungary 's democratic transformation. It is four times as voluminous as the first edition. The atlas was published in one single volume on 395 pages of 29 x 43 cm. Its bilingual (Hungarian and English) edition was an expression of Hungary's opening to the outside world. This work was edited by András Rónai, director of the Institute of Political Sciences, which is regarded as the organizational predecessor of the present Geographical Institute, Research Centre for Astronomy and Earth Sciences of the Hungarian Academy of Sciences. The atlas was published in Hungarian and English and it met all the requirements of a national atlas, with one exception: it did not show the territory of a country (Hungary) exclusively, but rather the area of Hungary, the Carpathian Basin and its broader environment on 134 colour maps at a scale of ca. 1:6.2 million on 334 pages. The English-language version of the atlas (31.5 x 23 cm in size) contained 171 maps on 367 pages. This masterpiece was originally prepared for the talks on the peace treaty after World War II, but later it was almost destroyed. Its digital facsimile version was published in Hungarian and in English on 411 pages by the Society of St. Steven and Püski Publishing House in 1993. The cartography work was mainly undertaken at the Department of Cartography of Eötvös Loránd University. © K. Kocsis, I. Klinghammer, G. Horváth, Z. Keresztesi, Z. Kovács, M. Márton, Zs. Nemerkényi, L. Zentai. MTA CSFK Geographical Institute – ELTE Department of Cartography and Geoinformatics. Budapest, 2013-2018.